Xiaomi is another popular rising smartphone brand focusing on providing the best quality smartphones. Xiaomi brand has released a lot of stunning and extra-ordinary smartphones in the market and a lot more to launch soon. Some of the best smartphones released by Xiaomi so far include Redmi Note 4, Xiaomi Redmi 4x and Xiaomi Redmi 4 Pro. If you have own Xiaomi Redmi 4 Prime and are in search for the required drivers for your smartphone, then you are in the right place. Here, you will find all the officially released required drivers for your Xiaomi Redmi 4 prime. These drivers include drivers for flashing firmware on your device and for connecting your smartphone to a computer. 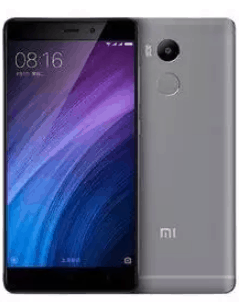 Xiaomi redmi 4 Prime was released in 2016 November. The phone support Hybrid Dual-sim. The front glass of the phone contain aluminum body. If you are large display lover, then Redmi 4 Prime is designed for you equipped with 5.0 inches display size supporting resolution of 1080×1920 pixels. The version of software installed on it is Android 6.0.1 (Marshmallow) powered by octa-core 2.0 GHz cortex-A53 processor. Regarding the internal memory, the phone has 32 GB of memory with 3 GB RAM and also support micro-SD card upto 256 GB. You can capture a quality images with Redmi 4 Prime, as the phone has 13MP primary camera with dual-LED flash including features and 5MP secondary camera for selfies. The connectivity medium of the phone include WLAN, Bluetooth, GPS, Infrared port, Radio and USB. Download the above drivers and then install it on your computer and also let us know in the comment section if you are facing any problem related to this post.